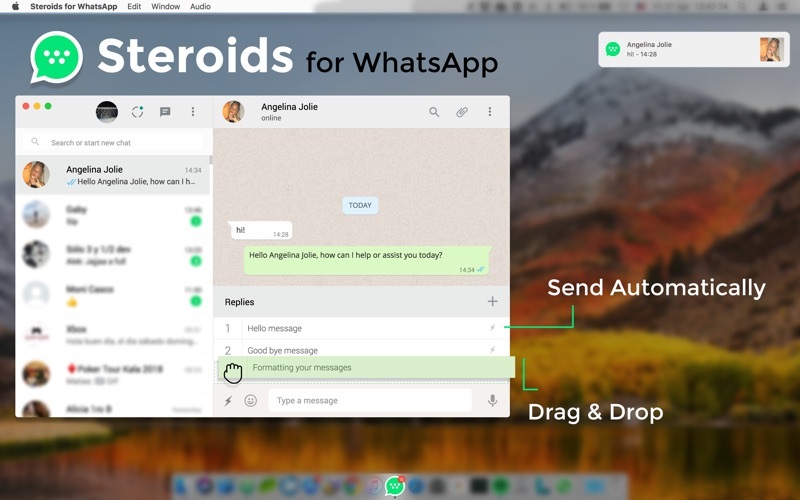 Empower your WhatsApp communications using automated responses. 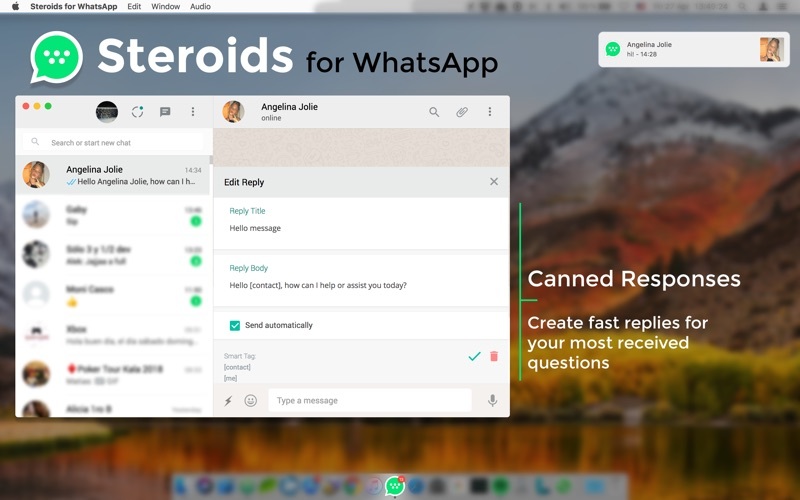 Create fast replies for your most received questions. If you often reply to the same customer questions, consider saving those replies as canned responses. It will shorten your response times and save keystrokes on repetitive typing. 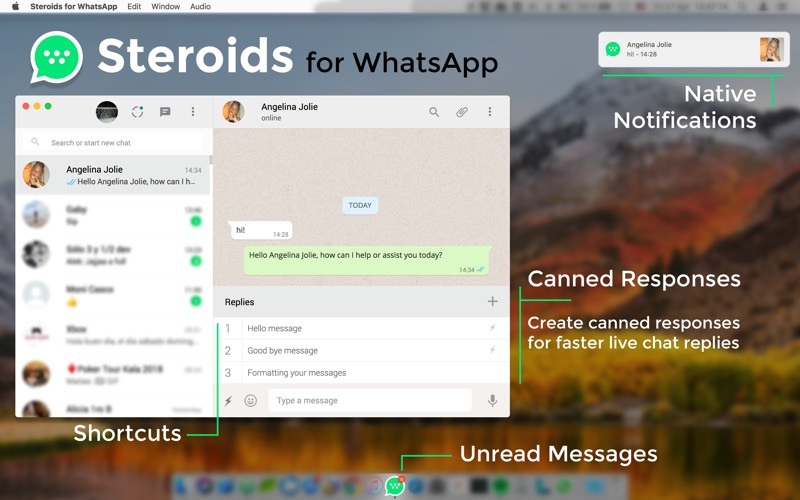 With canned responses, you type it once, save it and reuse it in chats whenever you need. ● Italic, Bold, Strikethrough and Monospace styles support. ● Mute Contacts and Groups. ● Drag&Drop Photos and Videos. ● Download Photos and Videos. 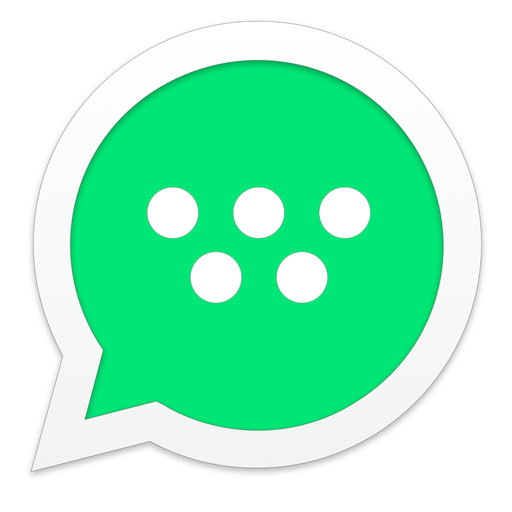 ● Unread messages on app icon. ● Full Screen mode supported. Fixed a bug that prevent click sometimes.